Wondering how to make your Hot Wheels car faster? Here are 5 tips that can help you do just that. Some can be done quickly and easily to your car, but some will require that you take your car apart. If you need help with that, check out Ten Tips for Customizing Hot Wheels. Adding weight to your car will help your car maintain its speed by increasing its momentum. If you remember back to science class, potential energy is based on gravity, height, and weight. Since it’s the same gravity pulling the cars down the track, and each car starts out at the same height, it’s the weight that you need to change. By adding weight, you gain an advantage because you increase the car’s potential energy. In a perfect world, all that potential energy would turn into kinetic energy as the car raced down the hill, and remember, kinetic energy is the energy of speed. Well, the law of inertia says that an object in motion, stays in motion unless acted on by an outside force. There are forces trying to stop your car. I like to describe momentum as an objects ability to overcome the forces that are trying to stop it. The greater the momentum, the more successful the object is in overcoming those forces, keeping its speed, and going farther. Momentum is based on two things, speed and weight. By increasing the car’s weight, you are directly increasing its momentum. Lead fishing weights are a good source of weight that come in lots of different sizes. The smallest ones are great to pack into all the small places. If you’re not to worried about looks, you can put larger weights in the back seats, the front seats, or get rid of the seats altogether and load that thing up with weight. To keep the weights in place you can use JB Kwik Weld to glue them in place. Another way to keep them in place is to use modeling clay. Clay is another easy and great way to add weight. You can squish it into all the empty space in the car. Just keep it clear of the wheels. Continuing our science lesson from above, the major force trying to slow your car down is friction. The rest of the speed tips all have to do with reducing friction. One way to reduce friction is to add a lubricant. We use these in real cars all the time, but in our real cars, we use liquid lubricants like oil and grease. Liquid lubricants work great in our real cars, but they are not as good for small parts. They have a tendency to pick up small particles, hair, dust, etc. and “gunk up” small moving parts, having the total opposite effect. For small moving parts - like those found in Hot Wheels, dry lubricants work great. Graphite is just such a lubricant. 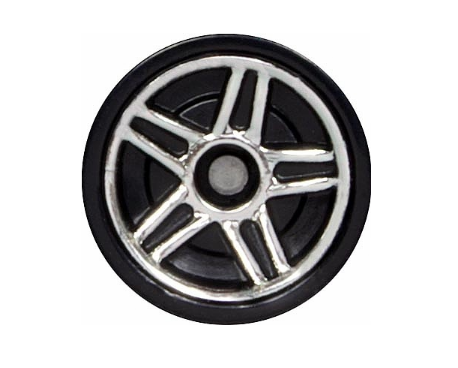 Using graphite on the wheels and axles of your car can help it go faster. The graphite will reduce friction and keep your wheels rolling smoothly and fast. Using cars with Faster than Ever (or FTE) wheels and axles definitely helps in the speed department. While the wheel is a good wheel, it’s not what makes the car fast. It’s the axle. The Faster than Ever axle is nickel-plated. The nickel-plating gives the axle an extra smooth finish. And smooth means less friction. Which is the number one enemy of speed. Faster than Ever cars were released in 2005-2006. They also showed up in 2009-2010. There were Faster than Ever cars released in 2011-12 as well, but they are usually called Faster than Ever 2 and have different wheels. So if you are already using a Faster than Ever car, use the rest of the speed tips and you’re going to have a pretty fast car. If your car doesn’t have Faster than Ever wheels and axles, consider swapping your car’s wheels and axles for some FTEs. For help on swapping wheels and axles, check out Ten Tips for Customizing Hot Wheels. Another thing you can do to help your Hot Wheels car be faster is to polish the axles. Even if you are using FTE axles, a good polish can help. You can find “Axle polish” out there, popular on the Pinewood Derby sites, but it’s just metal polish. Just find a good metal polish, apply it to the axle as per the instructions on the polish, and then buff it with a Dremal or drill using a soft cloth buffing tool. Make sure you slide the wheels to one end of the axle and hold them so as not to hit them while you are buffing. Try to keep the polish off the wheels. Once you are done, slide the wheels to the other side of the axle and polish the other side. By polishing the axles, you will be reducing friction and helping your Hot Wheels car go faster. As the car is rolling down the track, the wheels will either be rubbing on the pin head part of the axle, or on the chassis. Whenever two parts are rubbing together there is friction. And remember, friction is the enemy of speed. If you have done tip #4 and polished the axle, then hopefully you’ve helped reduce the friction on the pin head part of the axle. Now for the chassis. There are two kinds of chassis, metal and plastic. Most of the metal chassis are not that smooth. Many of the metal chassis have a ridge from the mold that cuts right along where the wheel touches the chassis. Notice the ridge on both the metal and plastic chassis. To help increase your Hot Wheel’s speed, you want to polish the chassis. 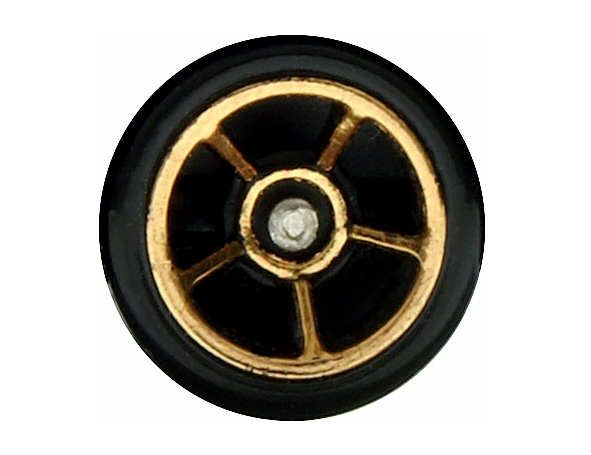 First take a small file and smooth out any ridges or rough spots on your chassis where the wheel will touch it. Basically all around where the axle sticks out from the chassis. Once you’ve filed down all the larger rough stuff, you’re going to start sanding using various grits of wet/dry sandpaper. Start out with some 400 grit, wet sanding the chassis. Next move up to 600 grit, then 1000, then 1200, and so on until you reach the finest sandpaper you can find, hopefully 2500. You can do it by hand, but I like to use a Dremel. I cut the sandpaper into small circles and poke a hole in it. Then I attach it to my Dremel and away I go. If you have a plastic chassis, unless it has a ridge from the mold or something, it should be pretty smooth. You won’t need to do as much sanding as you do with a metal chassis. You can probably just start wet sanding with pretty fine sandpaper, say 2000 or 2500. 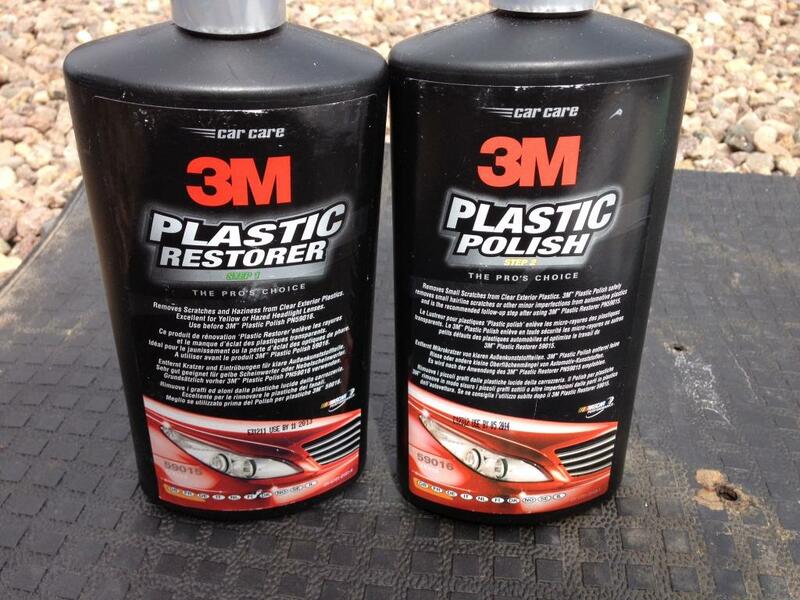 Another thing you can use is a polish made specifically for plastic. You can also get a pretty smooth glossy finish on the plastic using a wax made specifically for plastic. Just remember, the whole idea is to reduce friction, so whatever you can do to make things smoother will reduce that friction and make your car faster. What do you think? 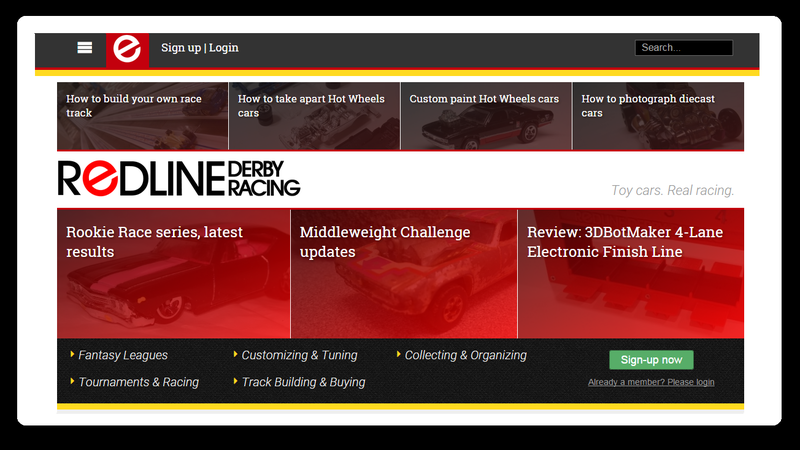 Do you have any tips to help make your Hot Wheels car faster. Share them with us in the comments below. See ya in lane 2! For more detailed help on making your Hot Wheels cars really fast, check out our Speed Tips! We've reached the end of the regular season. This championship bracket is the last chance to score points before we crown a team winner as well as a season champ for the cars. This bracket will feature all eight regular season 2 winners. Be sure to join us for season 3. It will be a bit different. For season 3 we will be racing all 64 cars that competed in Seasons 1 and 2 in a 64 car single elimination bracket. It's going to be awesome! But first we need to complete Season 2. Here is the line-up for races in the championship bracket for season 2 of the Hot Wheels Fantasy Pick'em game. This week we will be using the Challonge website to make our picks. You should be able to access it in the frame below, but if it is not working here is a link. Click on the green "Create a Prediction" button. Under "Prediction Title" make sure you "title your prediction" the team name you have been using in previous weeks. This weeks picks have been posted above. If you've forgotten who you've picked, take a look above by clicking on your bracket prediction, then sit back, click play, and cheer on your cars! Some good racing in this bracket with the Mustang coming out on top. It's long wheel base helps this car be a great racer. As has happened in several brackets before. I'm not sure the Acura is the second fastest car. The Mustang beat it by a bit further than it beat the Corvette, but the Corvette met the Mustang earlier on and was sent packing before the final. The team results have been updated. I tried to sort out teams by email if your bracket wasn't named the same as your team has been. Hopefully I got it all right. It seems like we were a little low on pickers this week. Hopefully the Challonge Website wasn't too difficult to use or cause problems. In the end we had a 3-way tie for first place! Congratulations to Fast Eddie, Rhino, and HWminion58 on a great season and a first place finish! FOTF, Russel Gross, Kay Jay Racing, 64s Racing, Busted Knuckles, NDR, and Tuhthebrave finished out the top 10. Great job everyone! Next season (which will start in a couple of weeks) is going to be fun. We're going to take all the cars from Season 1 and Season 2, 64 cars in all, and race them in a huge single elimination bracket. We'll do one round each week - so the first week there will be 32 races, the next week 16, then 8, then the final 4, then we'll do the semi-finals and finals the last week. I haven't decided whether we'll make our picks for the whole tournament before it starts like a big March Madness style bracket, or whether we'll make our picks week by week depending on the results from the previous week. Any thoughts? What makes a fast Hot Wheels car? How do you pick one out? Well aside from checking out some of the articles on this site like 5 fast Hot Wheels Cars you need in your collection, Hot Wheels Speed Tips, or the fastest cars from 2015 or 2016, here are a few things to look for. Fast cars are usually a little wider. This helps them roll down the track a bit straighter and have less chance of bouncing around. Narrow cars have a tendency to be less stable and bounce around. When they are bouncing back and forth in the lane, the car is losing speed. Notice the width difference in these two cars. To illustrate the instability point, check out this video of formul8r (a nice wide car) vs. The Porsche Outlaw (a fairly narrow car). You'll see the Porsche get into a "death wiggle" that completely kills it's speed. Fast cars are usually heavier. Heavier cars have more potential energy at the top of the hill. That translates into more kinetic energy at the bottom of the hill, which translates into speed. Potential energy depends on the weight of the car and the height that the car is at. The cars will be starting at the same height, but a heavier car will have more potential energy. That means more kinetic energy at the bottom of the hill, and more kinetic energy means more speed. That extra weight will help the car keep it’s speed better in the flat stretch to the finish line. When picking out a car, make sure that there is not any part of the car that will rub on the sides of the track. Often cars have running boards or other things that stick out on the sides. If these parts of the cars rub on the sides of the track, it will really slow the cars down. Also watch out for cars whose wheels are set in from the edge of the body. Even though these cars don’t look like they have anything sticking out on the side, the body itself will rub. These two cars both have issues. The Plymouth's wheels are set in and the 40 Ford has it's wheels set in as well as a running board connecting the fenders. Make sure that the car doesn’t have an extra long length from the front wheel to the front bumper. Not a lot of cars have this problem, but there are some. If the car is low to the ground, that will exaggerate this problem. What happens is when the car comes of the hill, the front bumper can scrape on the track causing the car to slow down. The problem also becomes worse as the steepness of the drop hill increases. This Corvette has this problem. Because of it's long low front, as it comes off the hill, the front scrapes on the track and slows it down. A car with most of it's weight in the back, all other things being equal, will be a faster car. Having the center of gravity - or more of the weight in the back - comes back to potential energy. Potential energy depends on height and weight. Let’s suppose that two cars have the same weight, but when it comes to gravity, it acts as if the weight is all in one place. We call that the center of gravity. The further back the weight is placed on the car, the further back the center of gravity. On an incline, that means the farther back the center of gravity is, the higher it is, which means more potential energy. Check out this clip from a great pinewood derby video by Mark Rober. It helps explain this with some great visuals. A low center of gravity will help the car be more stable and run straighter. As discussed earlier, if the car is bouncing back and forth from one side of the track to the other, your car is going to lose speed. One of the problems is that usually the cars with a low center of gravity are also thin, so they are lighter, which doesn’t help in the speed department. 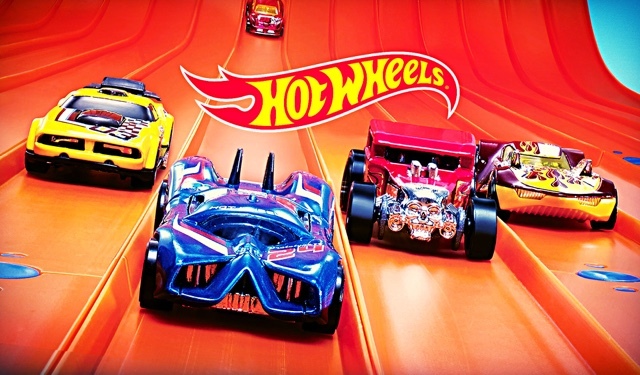 A longer wheel base improves the stability of your Hot Wheels car, which translates into a smoother, straighter ride. Comparing a short wheel base to a long wheel base is like comparing a Corvette to a Cadillac. While the Corvette is quick and maneuverable the Cadillac gives you a very smooth ride. Since we are racing on straight downhill tracks, maneuverability is not an issue. We want a nice smooth straight ride. In the previous example of comparing a Cadillac to a Corvette, I was referring to real cars, but let's see how the analogy holds up in the following example with Hot Wheels cars. Having good wheels is important for speed. Some wheels seem to be faster than others. Faster Than Ever wheels are the best wheels, but they were only produced during a few production years. Right now there are no Faster Than Ever wheels on the shelves. Technically, it wasn’t just the wheel that made the Faster Than Ever cars fast. 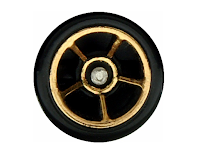 Most of it was due to the nickel plated axles that reduced the friction between the wheel and the axle. Another great wheel is the traditional 5 spoke wheel. I’m not exactly sure why this wheel seems to perform well, but it does. Looking at the top fastest cars from 2015, I noticed another wheel that a lot of the cars had in common. 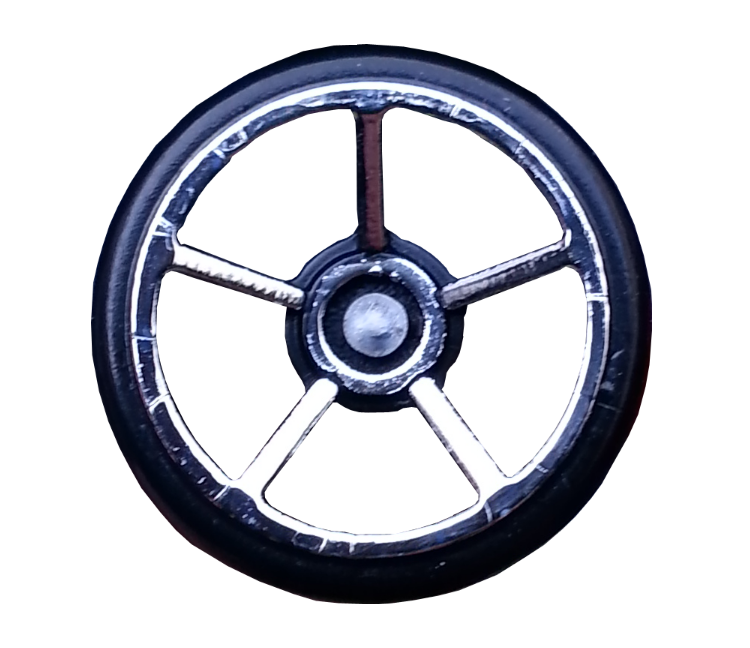 The PR5 wheel. Five of the top ten 2015 cars had PR5 wheels. Four of the other 5 had open hole 5 spoke or traditional 5 spoke wheels. 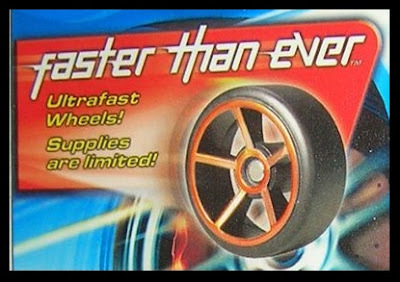 A final note about wheels, medium to large wheels seem to generally help a Hot Wheels car be faster than one with small wheels. So we’ve looked at quite a few things that can help a Hot Wheels car be fast. It’s pretty difficult to find all these things in one car without modifying it, and I’ve probably left the most important thing off the list. That is luck. When it comes to finding a really fast Hot Wheels car right out of the package, a little luck is involved. 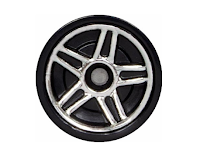 Yes, there are definitely certain castings which have an advantage and are generally faster than others, but all things considered, the wheels and axles are what are going to make or break your car. And that is something that you can’t check until you open it up and send it down the track. Most axles have burrs and imperfections on them, particularly on the ends. What you’re hoping for is an axle that has smaller burrs or less imperfections on them. Sometimes you just get lucky. In addition, almost every wheel has a mold injection spot on it, and you have to remember that mass producing and selling a car for $1 doesn’t encourage precision. 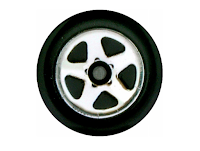 Most wheels are not perfectly round and smooth. If you get lucky, you happen to get some wheels that are more round and smooth than others. If you get good wheels and good axles on the same car, you’ve got a winner. This happens to be the case so far with our 2016 cars. After testing the first 32 cars, the Nitro Tailgator is our fastest car. However, I think this is a bit of an anomaly. While the Nitro Tailgator is a pretty good car, I decided to do a little more experimenting. I bought a few more Nitro Tailgators and a few more Corvette Grand Sport Roadsters. In each case the Corvette Grand Sport Roadster beat the Nitro Tailgator. It only seems to be the Nitro Tailgator that I tested in the official bracket that beats everything else. I got lucky and found a car with great wheels and great axles...and it is fast...way faster than other cars of the same casting. Watch Nitro Tailgator pick of the competition in the following video. So what do you think? Have you noticed any characteristics that make fast cars? Let us know in the comments below? If your really interested in fast Hot Wheels cars, Check out our Speed Tips!